SiriusXM will provide listeners nationwide with comprehensive coverage of the 2017 NFL Draft, with live coverage of every selection from every round, as well as four days of special programming, live from Philadelphia. 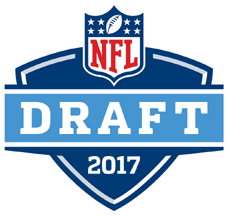 From the first round on Thursday, April 27, through the final round on Saturday, April 29, SiriusXM NFL Radio (channel 88 on satellite radios and on the SiriusXM app) will broadcast live from the 2017 NFL Draft as it happens on the steps of the historic Philadelphia Museum of Art (coverage airs Thursday from 6:00 – midnight ET; Friday from 6:00 pm – midnight ET; Saturday from noon – 7:00 pm ET). Listeners will hear the live announcements of all 32 teams’ selections through all seven rounds, as well as interviews with NFL Commissioner Roger Goodell and dozens of draftees, general managers and coaches. Former St. Louis Rams All Pro wide receiver Torry Holt will make his debut as a SiriusXM analyst live from Philadelphia. Holt will be a part of SiriusXM Fantasy Sports Radio’s draft coverage at the NFL Draft Experience on Thursday, Friday and Saturday of Draft Week. After the Draft, Holt will be heard hosting weekly on both the SiriusXM NFL Radio and SiriusXM Fantasy Sports Radio channels. On Wednesday, Gil Brandt and Alex Marvez will host Late Hits live (7:00 – 10:00 pm ET on SiriusXM NFL Radio) from the NFL Draft Eve Party (Presented by Verizon) at the Fillmore Philadelphia. On Thursday and Friday, Bruce Murray and Phil Savage will host The SiriusXM Blitz live from the SiriusXM footprint at the NFL Draft Experience (11:00 am – 3:00 pm ET) and Jim Miller and Pat Kirwan will host Movin’ the Chains from the Tostitos Cantina at the NFL Draft Experience (3:00 – 6:00 pm ET). Both broadcasts will air live on SiriusXM NFL Radio and feature interviews with NFL legends, current players and prospects in attendance. SiriusXM Fantasy Sports Radio (XM channel 87 and Sirius channel 210) will broadcast live from NFL Draft Experience all three days of the Draft. The channel’s coverage will air Thursday (8:00 pm – midnight ET), Friday (7:00 – 11:00 pm ET) and Saturday (noon – 7:00 pm ET) featuring pick by pick analysis from a fantasy football perspective. Hosts Maurice Jones-Drew, Torry Holt, Lisa Ann, Matt Camp, Adam Caplan, Mike Clay, Mike Dempsey, Joe Dolan, John Hansen, Bob Harris, Paul Kelly, Pilar Lastra, Jeff Mans and Jeff Ratcliffe will all be part of the coverage. On Thursday, SiriusXM Business Radio Powered by The Wharton School (channel 111 on satellite radios and on the SiriusXM app) will broadcast live from the NFL Draft Experience from 4:00 – 5:00 pm ET. Wharton School professors and SiriusXM hosts Cade Massey, who has consulted several NFL teams, as well as Scott Rosner and Ken Shropshire, hosts of The Wharton Sports Business Show, and Adi Wyner anchor the show and will examine how teams use analytics and data to decide their draft picks. On Sunday, SiriusXM Fantasy Sports Radio will host its first fantasy football draft of 2017 with the newly drafted rookies available for selection, airing live on the channel from 1:00 – 4:00 pm ET. SiriusXM’s Jones-Drew, Ann, Camp, Caplan, Clay, Dempsey, Dolan, Hansen, Harris, Kelly, Mans and Ratcliffe will participate live from Chickie’s and Pete’s in South Philadelphia. Additionally, SiriusXM College Sports Nation (channel 84), SiriusXM’s 24/7 college sports channel, will air NFL Draft specials on Thursday and Friday of Draft week (7:00 pm – midnight ET). David Moulton will host alongside SiriusXM analysts Mark Dominik, Greg McElroy, Rick Neuheisel and Brady Quinn, who will react to the draft selections and take calls from listeners who want to discuss their team’s newest players.